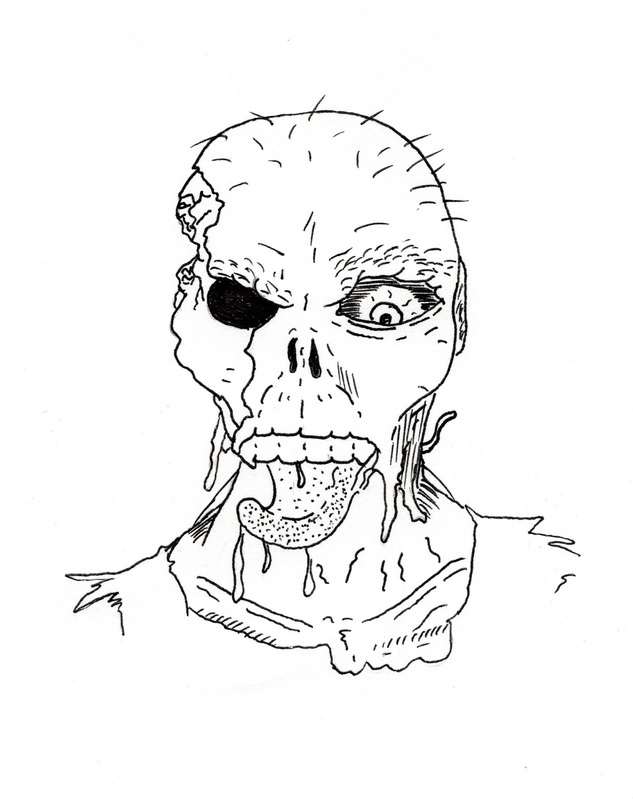 In keeping with the macabre theme from my poem yesterday, I thought I'd doodle a hungry zombie. Unfortunately, it seems he has lost his jaw somewhere, along with a few of his brain cells. AAARGGGHHH!